Ambient Technologies, Inc. (ATI) and subsidiaries are certified as MBE-DBE-SBE-SDB. 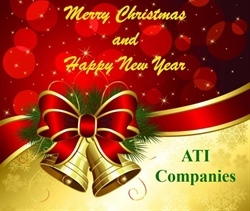 Our Subsidiaries include ATI Companies LLC, GeoView, Inc., ATI Energia LLC and ATI Panamericana, S.A. International Affiliate. Ambient Technologies, Inc. and Subsidiaries, ATI Companies LLC and GeoView, Inc. have worked successfully with consultants that were able to organize and execute the entire remediation plan from start to finish: evaluating the site, creating a strategic plan of action, implementing the plan, and maintaining the site after the remediation process concludes. Pump-and-Pipe System to inject the chemical compounds into existing injection wells to stimulate in situ chemical oxidation of the contaminated soil and groundwater. 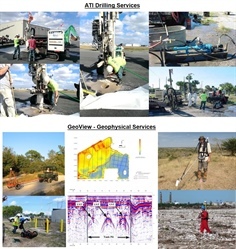 Environmental Drilling Services – Collection of groundwater samples from various locations. Depths varying from 10 feet to 55 feet bls via DPT methods. 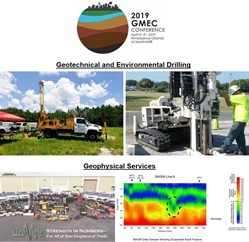 ATI Companies Drilling Team completed a DPT Drilling and Sampling project at the Kennedy Space Center – NASA which included collection of multiple groundwater samples from several boring locations, reaching total depths of 55 ft below land surface, via Direct Push Technology (DPT) methods. Using a Geoprobe 7730 DT, Ambient Technologies, Inc. (ATI) was able to accomplish the required Scope Of Work which included nine soil borings to 55 ft, forty-eight ground water samples collected direct from DPT SP16 Groundwater Sampler plus abandonment of 471 ft with a Geoprobe GS 2000 grout injection pump. A decontamination pad was built to properly steam clean and manage Investigation Derived Waste (IDW). Decontamination of drilling equipment between samples was required. Steam cleaning was used for decontamination. Pressure grouting method was required to abandon each borehole. A GS 2000 Grout System was used. This process consisted of pumping grout through SP probe rods to the bottom of the open borehole. Once the grout level reached the elevation of the water table the remaining portion of the borehole was abandoned by the direct pouring of grout or tremie grouting methods to complete the abandonment of the borehole. 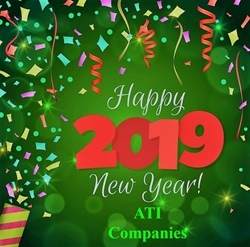 Happy New Year to everyone and let's help each other achieve our goals and help our families, friends and colleagues have an awesome 2019! May your days be filled with peace, love, hope, health and joy this holiday season.